Salespeople are swamped. They usually have all kinds of required quotas so management can track their progress -- phone calls, meetings, presentations, proposals, etc. The response I hear from salespeople is that they seriously do not have time to learn and use social media for sales. However, top sellers do use LinkedIn -- and very successfully. According to a survey of over 3000 salespeople done by Jill Konrath, top sellers spend over six hours on LinkedIn per week. So here’s the main question: Where should you be spending your time for maximum impact? 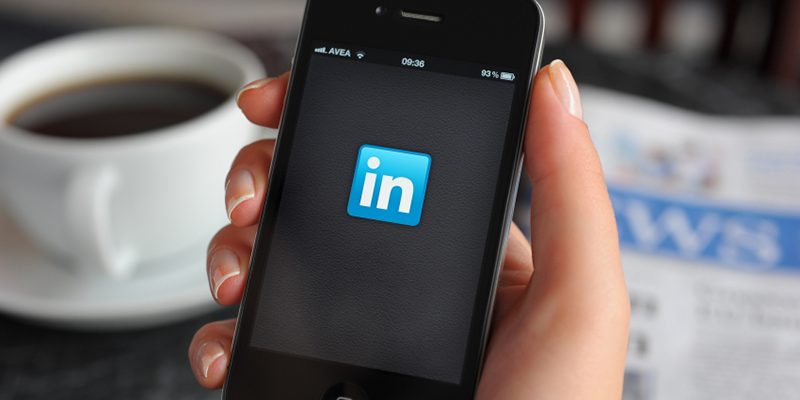 Hitting the phones or networking on LinkedIn? Switching methods is scary. Anytime you do something new there’s a learning curve, and you’ll end up spending some time without any return on investment at all. And there is the uncertainty. You don’t have data yet to back up your time spent in relation to appointments and sales. It’s hard to visualize. At first, it probably makes the most sense to take it in stages as you traverse the learning curve and figure out the best way to make LinkedIn work for you. Maybe reduce the amount of time cold calling by a couple hours each week and focus that time on LinkedIn. Of course, management has to be on board with that, too! Using LinkedIn will never happen though unless you have some ideas about how it will benefit you. Here are some of the advantages I’ve personally realized from spending time on LinkedIn. I get my name out in front of more potential prospects. However, I hear all the time "my prospects aren’t on LinkedIn." All I can say is that as of 4-18-14, there were 100 million LinkedIn users in the United States, and two members join every second. If you start actually using LinkedIn, you may be surprised at what you find. Not to mention it’s not just about prospects. It’s about networking to get referrals. The more time I invest in LinkedIn, the more leads I get. It’s really that simple. Because the leads coming from LinkedIn are from people who already know a little bit about me, I have more credibility. They trust me more and see me as someone who knows what I’m talking about -- which makes it easier to secure a meaningful appointment. My data shows that my website visits from social media are directly related to the amount of time I spend on LinkedIn. Recently, I wondered why my social visits went down slightly, and then I realized I got busy (as we all do) and reduced my amount of time on LinkedIn. It’s not brain surgery, but seeing the numbers makes me more determined to find a way to make using LinkedIn a regular part of my day -- if I want to continue to grow, that is! Anytime I have a question, I can get great feedback from my peers. Reading what’s going on in my network is a great way to keep my pulse on hot topics. And LinkedIn groups are chock-full of interesting conversations that can be converted to blog posts. I found these LinkedIn group discussions that are actively talking about using LinkedIn for sales. Check them out to hear what other salespeople have to say about it. Is anyone using LinkedIn as a good prospecting tool? Phone calls, emails, or LinkedIn? Where do You Want to Spend Your Time? The main question is, which of these methods will get you the best return on your investment? Are you willing to risk trying something new for a better return, or will you stick with the same thing you’ve always done? © 2019 Moon Marketing All Rights Reserved.